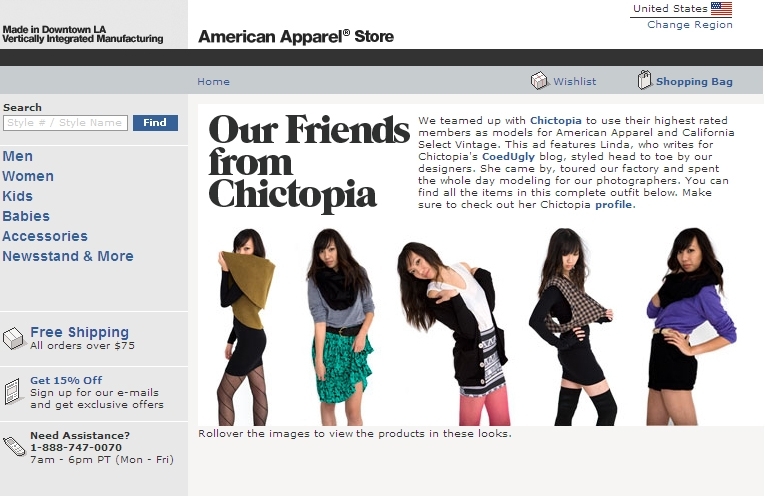 American Apparel has teamed with fashion blog social network Chictopia to feature the site's member's in a new advertising campaign. The campaigns will run on Chictopia's website as well as the member's individual fashion blogs. The models will wear a combination of American Apparel and the company's vintage line California Select. Nike Gear Turns TV Actress into Ninja. Wanna bamboozle the same daft friends who thought Kobe Bryant really jumped over a speeding Aston Martin? Then sit them down and share this video of Gossip Girl actress Tyler Momsen escaping the paparazzi -- with help from her loud blue Nike sneaks. And possibly some training tips from Spiderman. Given the Chance, Could YOU Conquer Either Finish Line? 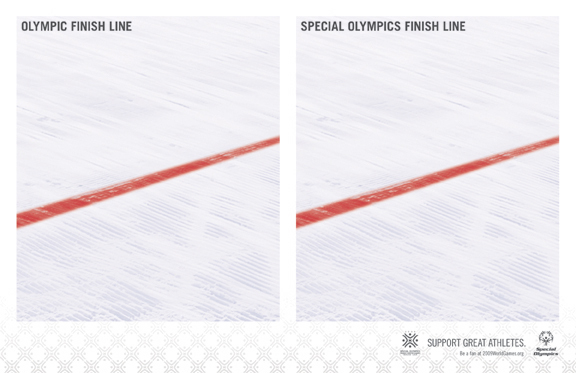 Hoping to take the euphemistic "special" out of "Special Olympics," TDA ADVERTISING & DESIGN/Boulder developed a print campaign that focuses on the sporting similarities between the event you watch and that other one. "The typical perception of 'Special Olympics' is young children with Down Syndrome, playing track and field. We want to change that," said VP-Marketing Heather Hill of the 2009 Special Olympics World Winter Games. "The majority of our athletes are serious, adult competitors." 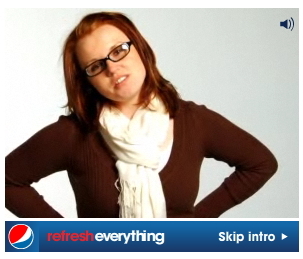 There's a brand repositioning worth throwing some weight behind. Variants include "Slalom" and Ice Rink. If so inclined, you can also read the radio script. On January 18, 2009, Lebron James will announce his "first love." Will it be football? Will it be basketball? Will it be to become a rapper? 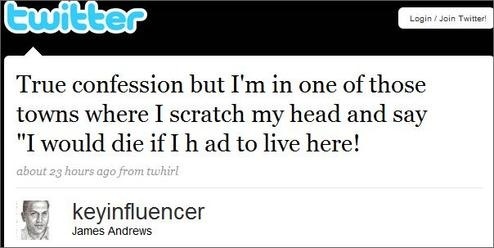 Those are the speculations surrounding a recently released video in which James faces an audience and says, "First of all, I want to thank everyone for coming out here today. After having a long discussion with friends and family, I've decided to follow my first love." Thankfully, we won't have to speculate for much longer but it's likely this is tied to Nike. If it were simply an announcement as to his desire to play another sport or become a rapper, there'd likely not be paid advertising on Google promoting the video. UPDATE: One theory points to his first love being Reebok and all this is is yet another marketing stunt.